Eschew the tourist crowds and head to Natural Bridge and Robina Town Shopping Centre. 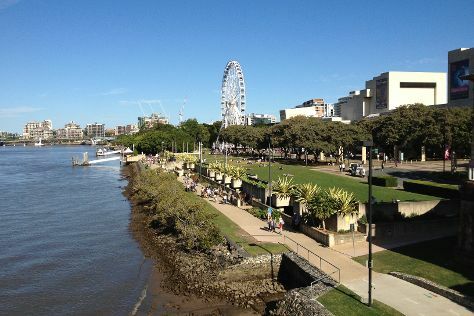 Change things up with a short trip to South Bank Parklands in Brisbane (about 1h 35 min away). Spend the 23rd (Thu) exploring the fascinating underwater world at Sea World Theme Park. Next up on the itinerary: get in on the family fun at Warner Bros. Movie World and explore the striking landscape of Burleigh Head National Park. For more things to do, other places to visit, photos, and tourist information, refer to the Gold Coast trip itinerary planner . If you are flying in from Malaysia, the closest major airports are Brisbane International Airport and Gold Coast Airport. In May, daytime highs in Gold Coast are 27°C, while nighttime lows are 15°C. Wrap up your sightseeing on the 24th (Fri) early enough to travel back home.